The 12 signs of a great leader, according to executive leadership coach Lolly Daskal, include the ability to listen, openness, empathy, resourcefulness, a good relationship with change, confidence and solution-seeking – all of which many who have worked with Scotiabank TT's former managing director, Anya Schnoor agree she displayed. The banker, asked to describe her work ethic, told Business Day she's "a firm believer in integrity, respect, passion and accountability." Looking back at Schnoor's five-year term (her last day in office was October 31) it's no surprise that several programmes now offered by the bank were developed during her tenure: the Scotiabank Insights series, the Scotiabank Vision Achiever Programme and the Scotiabank Vision Achiever Youth Programme. Schnoor left TT to take up a promotion at head office in Toronto, Canada. From November 1 she became the new executive vice-president of Retail Payments, Deposits and Unsecured Lending for Canadian banking. 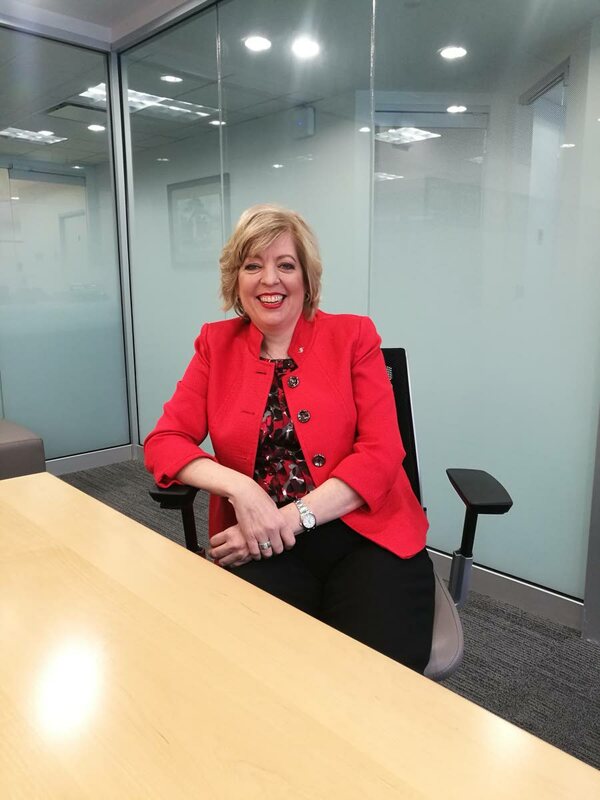 Business Day sat down with Schnoor in her final hours as Scotiabank TT's MD to learn more about what makes her so good at her job and why so many of her staff members cried on learning she would be leaving them. Seated in the boardroom on the second floor of the bank's head office in Port of Spain, Schnoor exuded an air of calm confidence throughout the interview. In 2010, this country's economy was not in a good place. That July, then Minister of Planning, Economic and Social Restructuring and Gender Affairs, Mary King, told the Senate that as of May 2010, the economy was characterised by severely limited financial reserves, negative balance of payments, buoyant government spending and reduced income, which had led to a deficit. Schnoor took over Scotiabank TT on November 1, 2010 and in the five years since, has had to steer the bank and its customers through economic ups and downs. Asked what she learned during that time, Schnoor said, "For the five years I've been here, TT has been either in a recession or very close to one, but I look at challenges as opportunities. I always try and turn a negative into a positive and find a way for us to look at a situation and then look for a solution." "Seeing where the economy was going, we turned it around into an opportunity to say, 'How can we help small businesses? How can we help our customers get through a difficult situation?' So we launched our Scotiabank Vision Achiever programmes and our Scotiabank Insights programme. They're really about helping our customers and potential customers navigate the challenging times." Schnoor also shared that the bank focused a lot on tailoring advice and solutions to meet customers' needs, be it buying a home, a car or buying mutual funds, for example. "It's about really helping them make the right decisions for their financial needs. We took a challenge and turned it into an opportunity and it paid off, because the bank has continued to do well and grow. I believe that's due to our customers really seeing the difference in what we provide and knowing that Scotiabank has their best interests at heart." Asked about the role of commercial banks in an economic recovery, Schnoor noted that in TT's case, continued low oil and gas prices have led to a significant reduction in both government income and available foreign exchange. "This is where banks are so critical. You need a strong commercial banking sector, because at the end of the day, we're going to be one of the key engines for the economy to recover and grow." Schnoor was elected president of the Bankers Association (BATT) in August 2016. On her time in that post, she told Business Day she is most proud of the fact that commercial banks in this country have continued to lend, to help businesses and individuals grow. "That's what our role is. Even in the worst of times, I think that having a strong commercial banking sector is very vital to the continued economic development of the country and we're going to need that, we're going to need all hands on deck to get through the next few years." 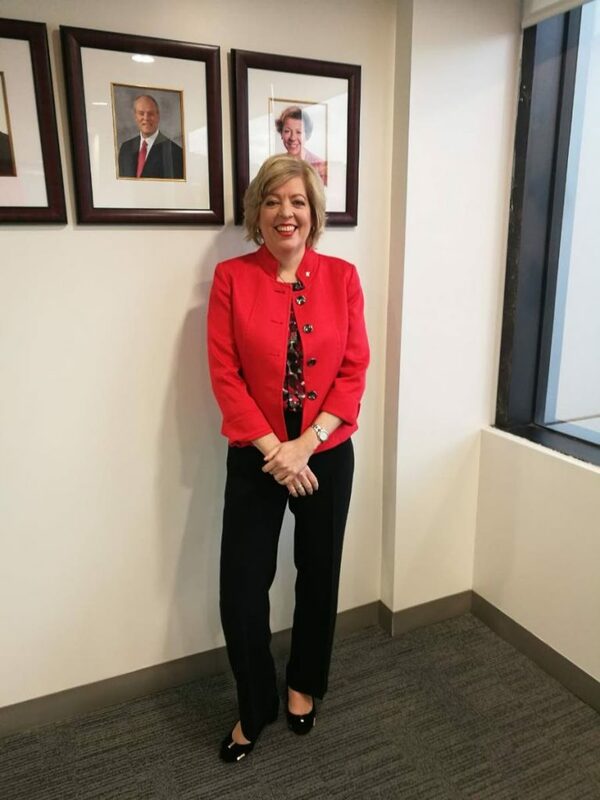 Schnoor is making history with her promotion to the Canadian operations of Scotiabank – she's the first Caribbean person to hold such a senior position. "I'm very pleased that the bank has really recognised my role, but also the Caribbean. 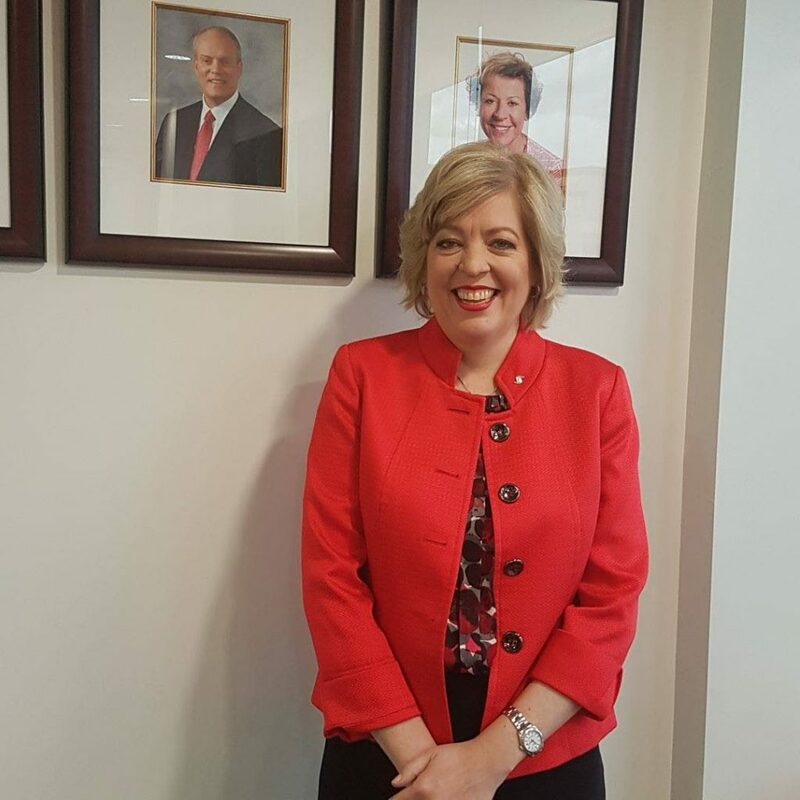 I'm looking forward to the opportunity to join the Canadian bank and work with the tremendous team there," Schnoor told Business Day with a smile. Her selection for an executive VP post was not by chance. Schnoor was appointed after going through what she described as "Scotiabank's very robust leadership resource planning programme." Before joining the TT operations, Schnoor spent time in Canada on a leadership rotation. While in TT, she participated in various training programmes and conferences, in addition to which she had opportunities to interact with the Toronto-based board of directors and the bank's executives. "Over that period of time, they would have been able to evaluate my performance, what I've been able to do over my 11-year career with Scotiabank. So when an opening comes up for a position, they already know a lot about you, who you are, what you're capable of." "That's the great thing about working with an international bank – you get opportunities that you wouldn't normally get if working for a bank operating in just one country. This (promotion) is another example of how Scotiabank invests in its people." Reflecting on her time in TT, Schnoor smiled as she said working with the team here was "the most enjoyable part" of her job. "We worked hard but we've also enjoyed the journey." There was also a final piece of advice for her now former co-workers. "Don't ever make anybody or anything make you feel that you can't achieve your dreams, because at the end of the day, your dreams are only as big as you want to set them. So go out there, work hard, never forget where you're coming from and always pull people up with you along the way, because you don't do this alone. You do it with a team around you. So I have no doubt Scotiabank TT is going to continue to do well; it has a great team. I'll be looking on from afar but looking on with pride at all that they have accomplished and will accomplish in the future." Scotiabank TT's new MD, Stephen Bagnarol, officially took over on November 1. As Schnoor did before him, Bagnarol will also hold the posts of senior vice-president and head of the Caribbean South and East. Reply to "Schnoor’s legacy: Helping customers achieve their vision in challenging times"